Every knitter hates weaving in yarn tails, so in my last post I showed you how to do the Russian join. 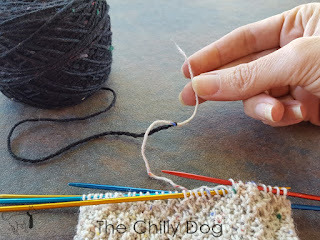 The basic technique is an easy way to secure your yarn tails when connecting a new skein to your work. But how do you use the Russian join to connect yarns between color changes? 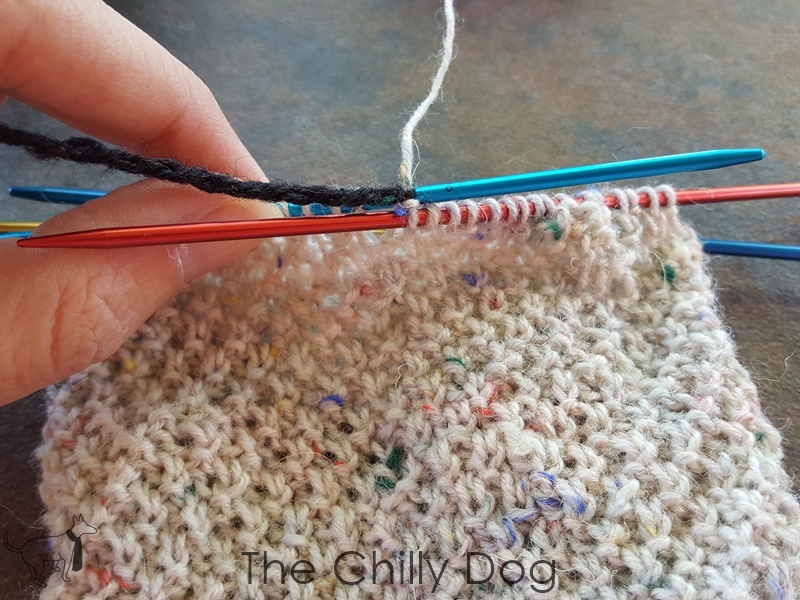 The method is very similar, but it involves tinking (or "un-knitting") just a few stitches of your work. 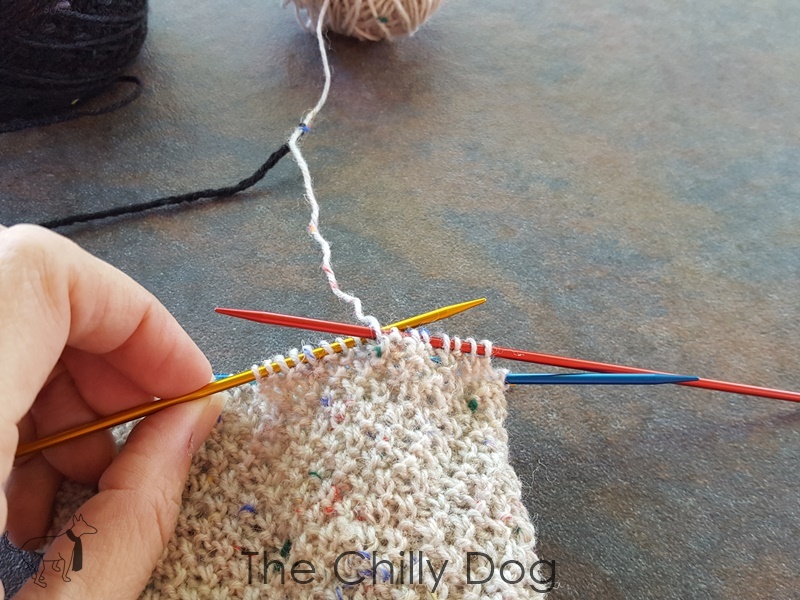 I'm making a pair of socks and working in the round, but the process of joining colors is the same if you are working back and forth in rows. 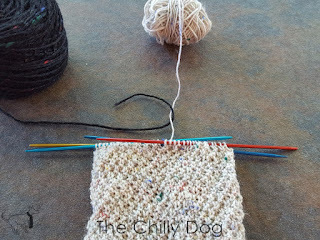 Knit to the point where you want your new color to begin. 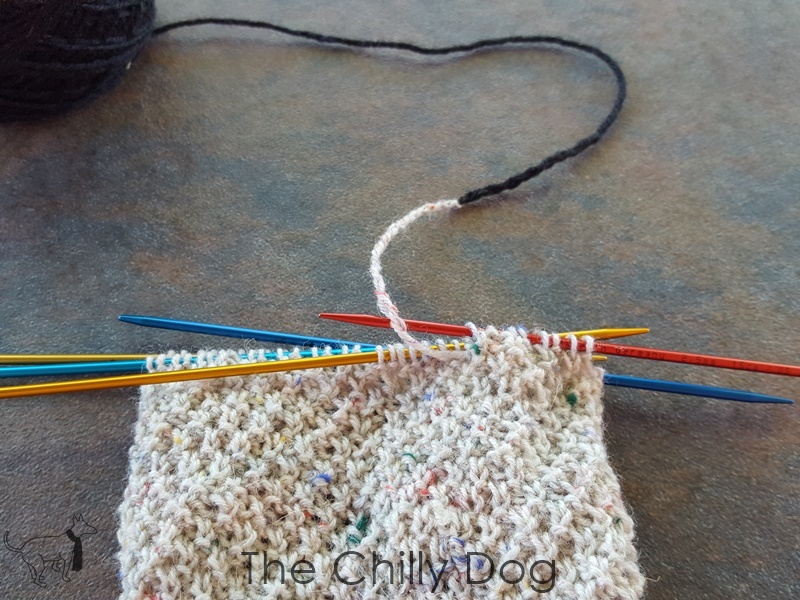 Break, don't cut, the end of the new color. 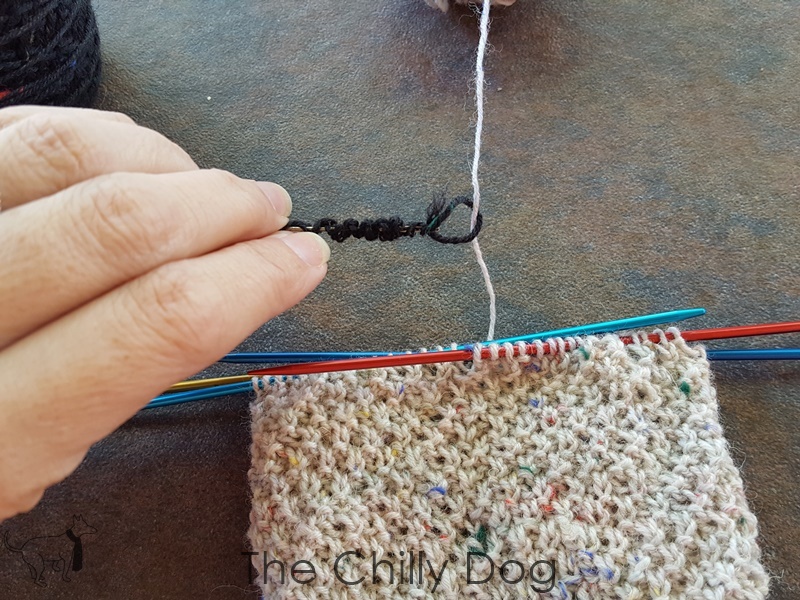 Wrap the new color around the yarn you have been working with and use an embroidery needle to weave the tail into the new yarn. 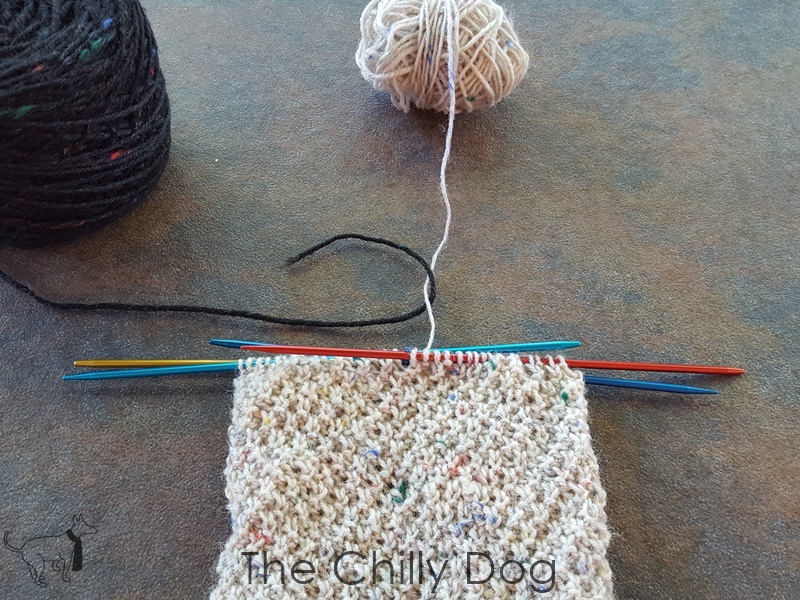 After the new color is joined, you can slide it up and down the working yarn. 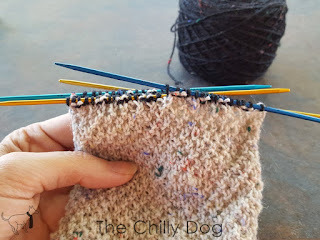 Slide the new color down the working yarn to your knitting needle. 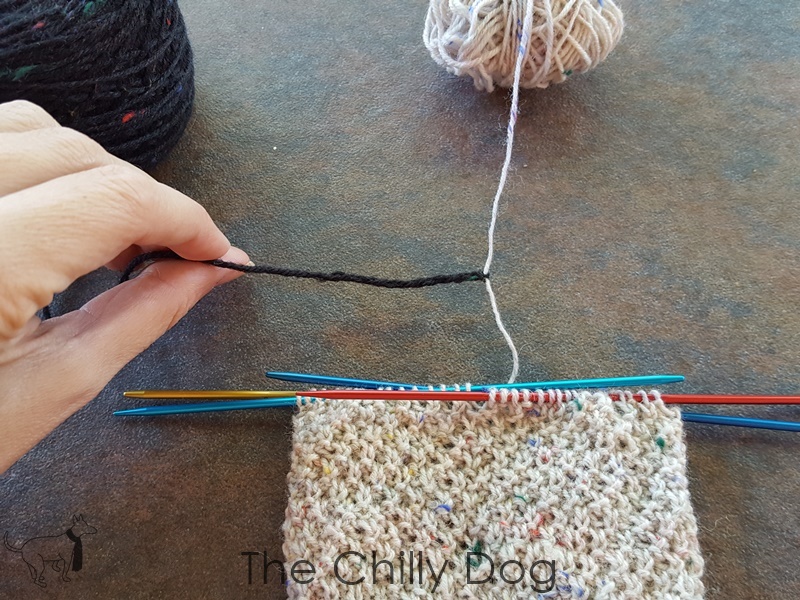 Leave just a little space (about 1/4 -1/2 a wrap) between the new yarn and your knitting needle. 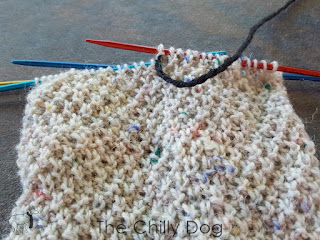 Being very careful not to move the new color tink, or "un-knit" about 8-10 stitches of your work. 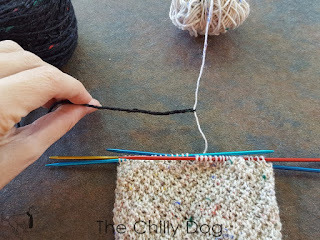 Break your working yarn about 1 1/2 - 2 inches from the join. 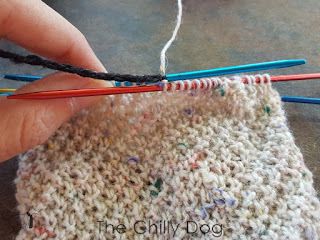 Again be very careful that the join doesn't slide up or down the old color. 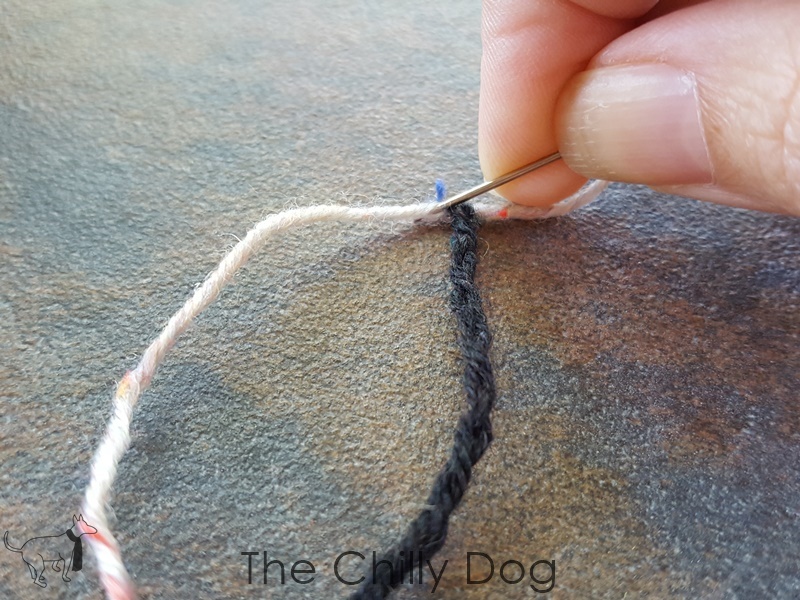 Use an embroidery needle to weave the tail of the old color into itself and conceal it. 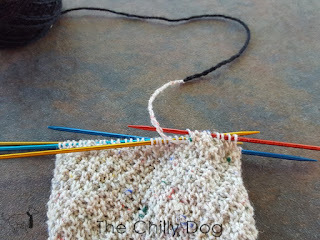 Now that all the yarn tails are tucked in, re-work the stitches you tinked until you get to the new color. Once you get to the new color, continue on in your pattern. Note: If you slid the new color too close to your knitting needle after joining it, you may get a stitch that is both the new color and the old color. It can take a little practice to figure out exactly where to positing the new yarn after the join. 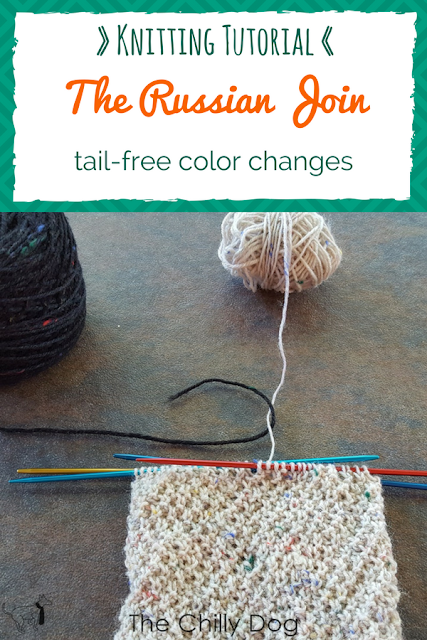 By using the Russian join, there will be no yarn tails to weave in between your color changes. Here are the finished socks that I was working on for this tutorial. 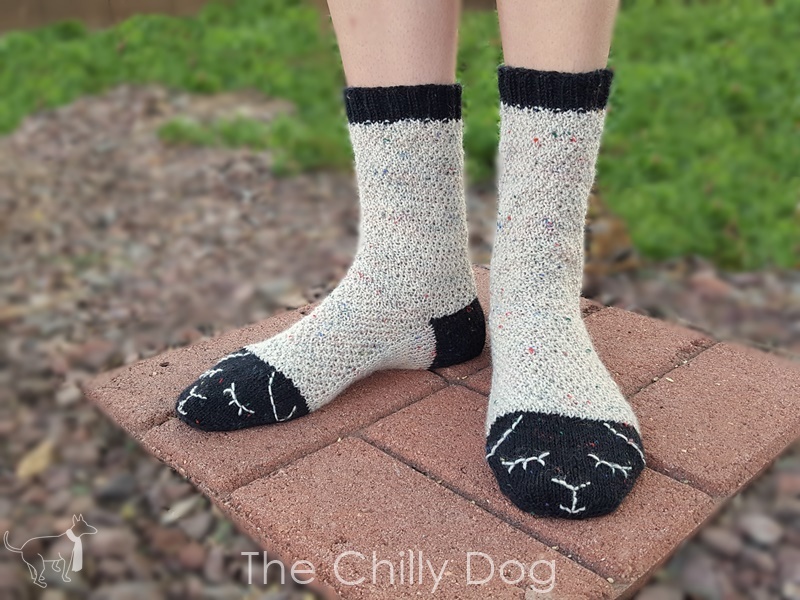 If you would like to give them a try and practice your new joining skills, the 'Sleepy Sheep Socks' pattern is available in my shop. Do you hate weaving in yarn tails? 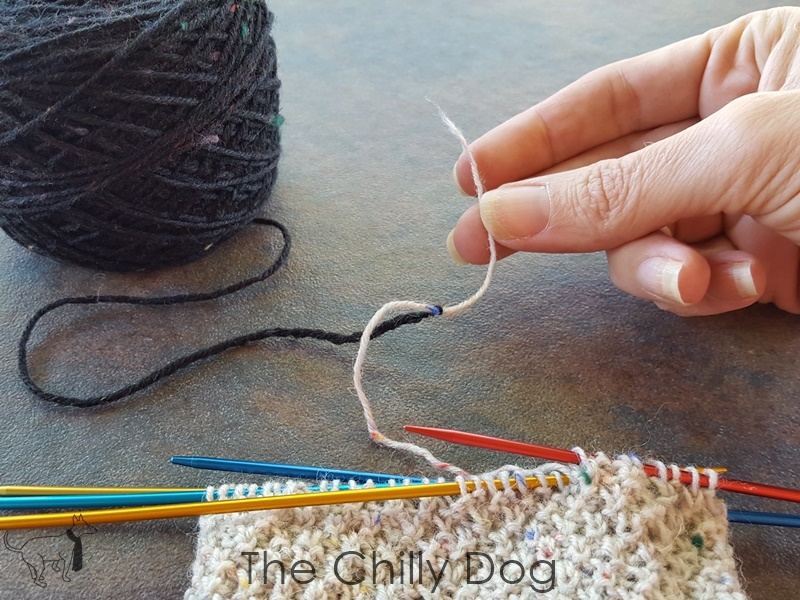 Learn how to use the Russian join to change colors in your knitting so there are no tails to weave in later.